As part of our Nike Football collaboration for the launch for SAMSON Vol. 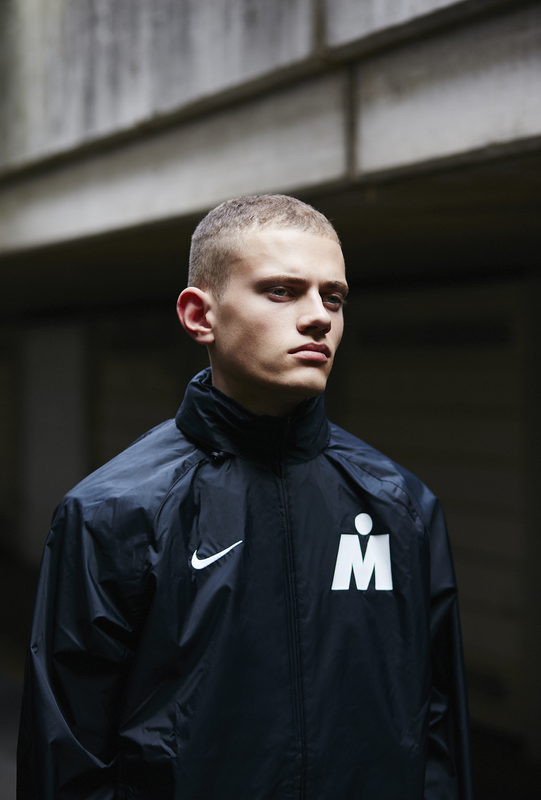 1 we branded a limited release capsule collection of SAMSON x NikeFootball apparel which we sold on Hypebeast Store. The collection sold out online in less than 24hrs. We looked at a new concept to promote the Bentley Continental GT, so we worked with DJ Angelo on a new concept mix to encapsulate the feeling of driving a Bentley Continental across mainland Europe. The mix contains sound-bytes referencing Bentley, and was featured in JOSHUA's Magazine Issue THREE via QR Code. The mix was also shared via DJ Angelo's extensive social media channels. As a young fashion brand, Hentsch Man wanted something to help gain interest with the world's press. We to create something that would resonate with the press to ensure coverage, but still reflected the brand's core competency, and so we came up with the Ape Shirt; a short-sleeve seersucker shirt with a purpose built comb pocket in collaboration with Ape to Gentleman. To add to the legitimacy of the product, we invited comb specialists Kent Brushes to provide the tortoiseshell comb for the pocket. The shirt was a success; and featured in publications from Shortlist Mode and Monocle, to Grazia and on streetstyle blogs across the globe when worn by our influencers during London Fashion Week. The launch was also supported by a feature on Ape to Gentleman and shared across social media for the duration of the campaign.